The Jersey Shore Boca U-13 boys team were crowned champions of their division at the 2005 Mid-Atlantic Summer Showcase League’s Memorial Day Tournament held at Fort Dix over the weekend. Boca defeated a powerful FC Bucks (PA) team 3-1 in the finals on Sunday afternoon to capture the title. FT. DIX, NJ (May 30, 2005) – The Jersey Shore Boca Under-13 boys team were crowned champions of their division at the 2005 Mid-Atlantic Summer Showcase League’s Memorial Day Tournament held at Fort Dix over the weekend. Boca defeated a powerful FC Bucks (PA) team 3-1 in the finals on Sunday afternoon to capture the title. The Jersey Shore Boca U13 team poses for a group picture at Ft. Dix on Sunday. The Boca U13s defeated FC Bucks 3-1 in the finals at the 2005 MSSL Memorial Day Explosion Tournament. In preliminary round action on Saturday, the Boca U13s topped Lanco United (PA) 3-0 and the YMS Strikers (NJ) 6-2 to finish the first day of tournament action a perfect 2-0. On Sunday, Boca squared-off against a tough America’s United (NJ) side in an early 8am match that saw the U13s victorious 2-1 in one of the most competitive games of the weekend. With the win, the Boca U13s finished on top of Group A with 27 overall points while FC Bucks finished on top of Group B with 24 overall points and a 2-0-1 record in preliminary action. The Jersey Shore Boca U13s scored fourteen goals while only allowing four during the tournament. 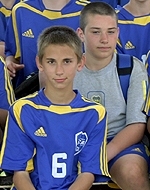 The Boca U13s are coached Kirk Pericciuoli, a long-time veteran of the Jersey Shore Boca Soccer club. Pericciouli, who resides in Bayville, played his college soccer along side US National Team member Tony Sanneh at the University of Wisconsin at Milwaukee. Pericciuoli also played professionally with the NJ Stallions of the United Soccer Leagues. The Jersey Shore Boca U13 team is one of five Boca teams that will participate in the United Soccer League’s Super Y-League this summer. The team also attended numerous US Club and US Youth Soccer events during this past year, is a member of MAPS and plays in MOSA Premiere for regular league play. 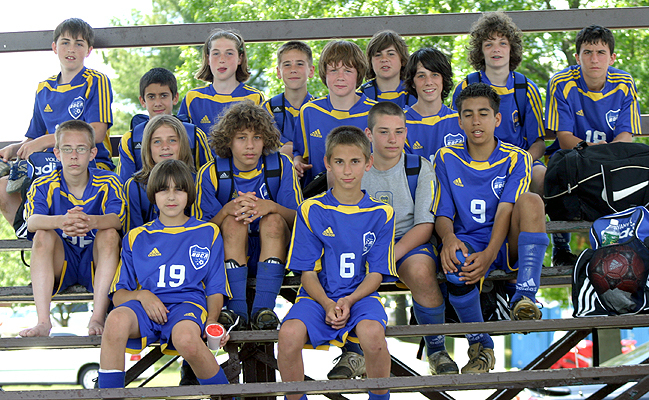 The Boca U13s will be holding try-outs for the 2005-2006 season on June 16th, 21st, 22nd and 23rd at the Manchester Soccer Complex starting at 6pm.